When I first started working with technology in schools, speech recognition software was quite expensive and not very good. Now it’s built in to phones, tablets, and computers and available for anyone to use. While I don’t want to get into an argument about the necessity of teaching keyboarding in 2016, I do want to let you know that there are other options to quickly and efficiently get student words on a document. 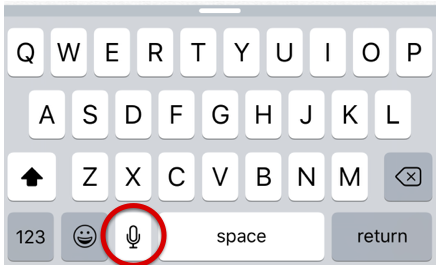 Did you ever notice the little microphone next to the spacebar on your iPad or iPhone keyboard? Tap it and say something. 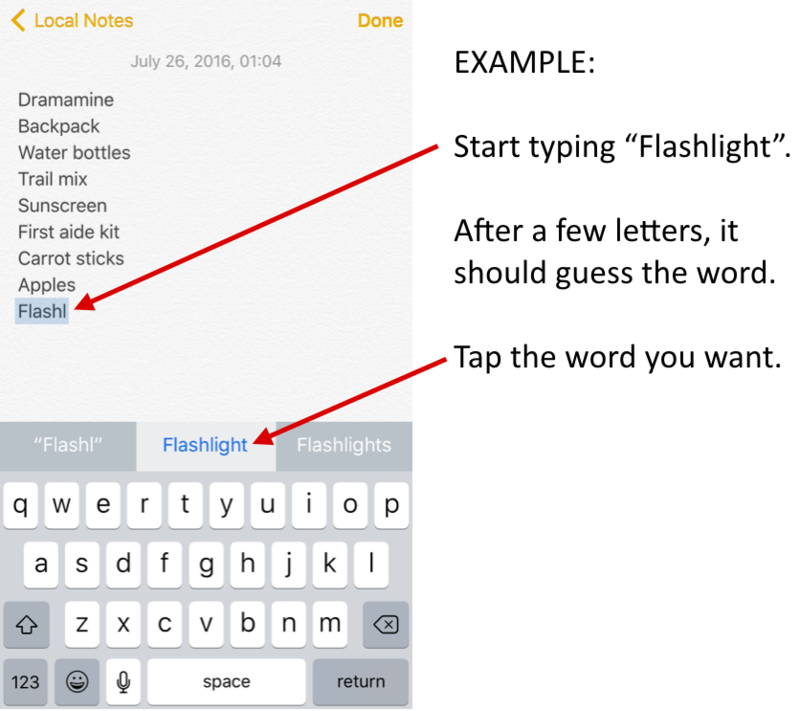 It lets you speak your text in just about any app that lets you type. Notice a little white line above the T and Y keys? Swipe up on it to reveal the built in word prediction feature. As you start typing something, it will try to predict what you are typing. Once you see the word you want, tap it. 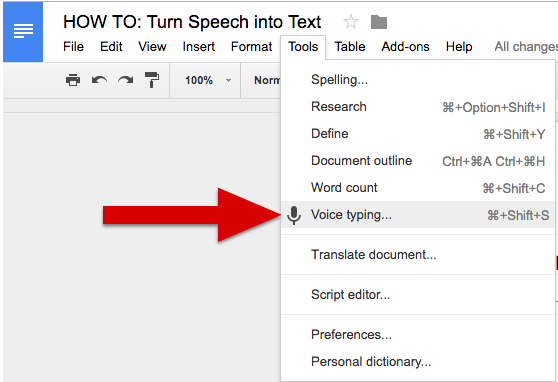 In any Google Doc, go to TOOLS and select “Voice Typing”. Go to your SYSTEM PREFERENCES and select Dictation and Speech. 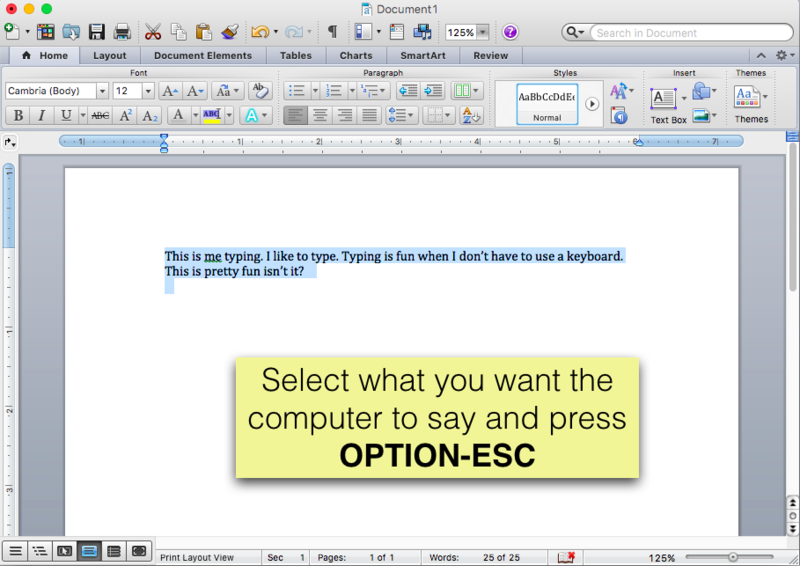 Click in the document where you would like to start typing and press the fn key twice. 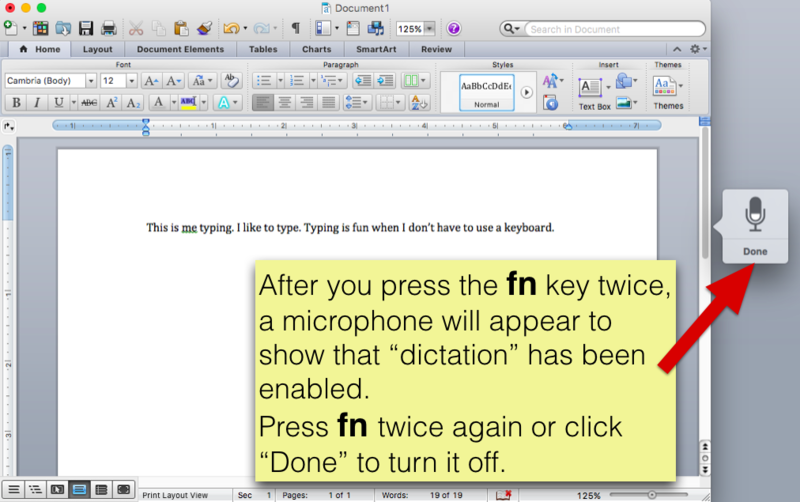 NOTE: If this is the first time you are using dictation, and you selected Enhanced Dictation, you will need to wait for the language file to download. As you speak you can add punctuation by saying “period”, “comma”, or “question mark”. You can also say “new line” to start a new paragraph. Having your text read back to you after typing is a good way for students to proofread their work. 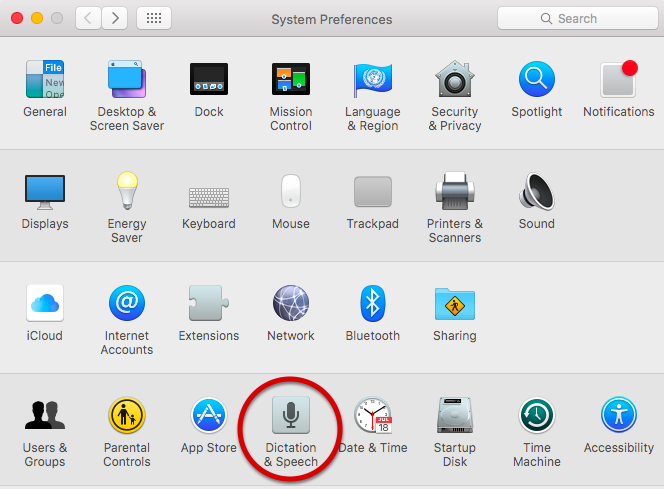 To enable Text to Speech go to the SYSTEM PREFERENCES and select “Dictation & Speech”.